Southeast Ohio’s LGBTQ community has been receiving additional support and programming since January 2017 thanks to an organization that prioritizes the needs of queer people in the region. 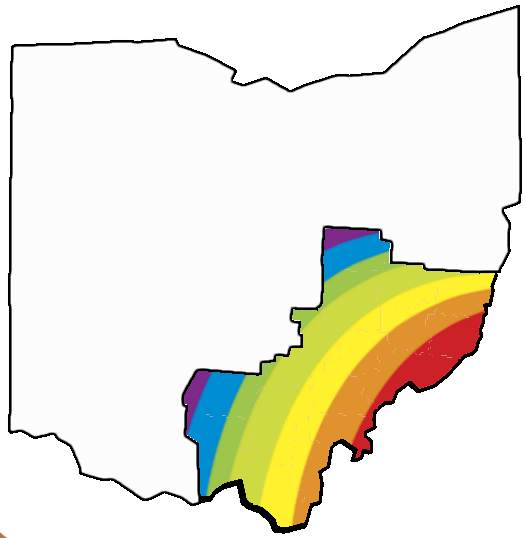 The Southeastern Ohio Rainbow Alliance (SEORA), an organization mainly made up of Athens locals, seeks to provide educational resources, queer safe spaces and a sense of community to LGBTQ people in Southeast Ohio. Abikanile said turnout for past events has occasionally been low because a lot of people don’t know about SEORA or don’t understand what the organization does. Recently, however, that has begun to change. “It’s been kind of a struggle to get out there, but I think we’re starting to be noticed and taken seriously,” Abikanile said. SEORA’s biggest event is the annual Pride Fest celebration hosted each June. Since 2017, the organization has hosted a week filled with fun events for the community, including a parade, a rally, picnics, comedy nights and drag shows. SEORA also hosts pride dances a few times each semester at Casa Nueva, and Abikanile DJs. Drag Queen Story Hour, which SEORA hosts at the Athens County Public Library, also has a large impact on the community, Abikanile said. During the event, a drag performer reads to kids from a book of their choice aimed at explaining gender diversity and expression. Abikanile said the story hour at last year’s Pride Fest was once of their favorite moments. Beyond their own events, SEORA also collaborates with other organizations in the area to create more events for the community, including assisting with the recent women’s march. The organization also works closely with Ohio University’s LGBT Center, as former director delfin bautista serves on SEORA’s board. Future plans for SEORA include eventually opening its own facility and serving as a sort of community center, catering to everyone with a wide range of events. Until that time, however, SEORA hopes to continue to collaborate with other local organizations and keep providing support for the area’s queer community.